Please read this disclaimer completely before using this website. By use of this website indicates your agreement and understanding of our disclaimer. The information on this website is general in nature and does not constitute or intended to substitute professional advice. It is use for informational purposes and is subject to change. 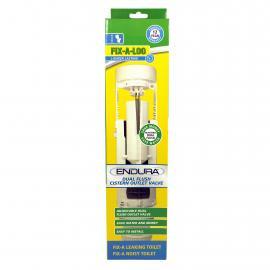 FIX-A-TAP AUSTRALIA PTY LTD will endeavour to keep the information current, we do not guarantee its accuracy. It is advisable to seek professional advice in reference to your particular circumstances. Use of the Website—By accessing the website, you warrant and represent to FIXATAP that you are legally entitled to do so and to make use of information made available via the website. 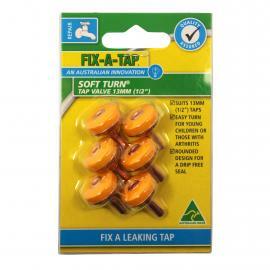 FIX-A-TAP AUSTRALIA PTY LTD does not guarantee the quality of any product, service providers or any associated organisation listed on this website including those listed on the Stockist and Plumber Directories listings. The listings are inserted for convenience and does not constitute in any way an endorsement, recommendation or approval and users are encourage to do their own due diligence and checks prior to engaging service providers listed on the site. FIX-A-TAP AUSTRALIA PTY LTD is not responsible to you or anyone else for any claim, loss or damage that has been suffered as a direct or indirect result of use of any product, service provider or any associated organisations listed. Trademarks—The trademarks, names, logos and service marks (collectively “trademarks”) displayed on this website are registered and unregistered trademarks of FIX-A-TAP AUSTRALIA PTY LTD. Nothing contained on this website should be construed as granting any license or right to use any trademark without the prior written permission of FIXATAP AUSTRALIA PTY LTD. External links—External links may be provided for your convenience, but they are beyond the control of FIX-A-TAP AUSTRALIA PTY LTD and no representation is made as to their content. Use or reliance on any external links and the content thereon provided is at your own risk. Warranties— FIX-A-TAP AUSTRALIA PTY LTD makes no warranties, representations, statements or guarantees (whether express, implied in law or residual) regarding the website. FIX-A-TAP AUSTRALIA PTY LTD is not responsible to you or anyone else for any claim, loss or damage that has been suffered as a direct or indirect result of use of the contents of this website. Disclaimer of liability—FIXATAP shall not be responsible for and disclaims all liability for any loss, liability, damage (whether direct, indirect or consequential), personal injury or expense of any nature whatsoever which may be suffered by you or any third party (including your company), as a result of or which may be attributable, directly or indirectly, to your access and use of the website, any information contained on the website, your or your company’s personal information or material and information transmitted over our system. 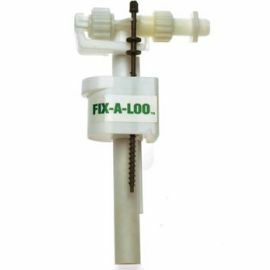 All the material on this website including trademarks is copyrighted and belongs to FIX-A-TAP AUSTRALIA PTY LTD unless otherwise stated. 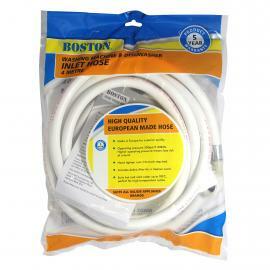 You may only use the information listed on this website for personal and non-commercial uses ONLY. You may access, download and print for personal uses only. If you wish to reproduce any information for commercial uses, you must have written permission by FIX-A-TAP AUSTRALIA PTY LTD. You need written permission to reproduce, copy, publish and distribute any material on this website FIX-A-TAP AUSTRALIA PTY LTD. Any material that has given permission to be used for commercial uses must be appropriately attributed to FIX-A-TAP AUSTRALIA PTY LTD.
FIX-A-TAP Australia Pty Ltd ACN 001 011 534 (“FIX-A-TAP”) is bound by the Australian Privacy Principles (“APP”) in accordance with the Privacy Act 1988. Fix-A-Tap is committed to ensuring the protection and privacy of any sensitive or other personal information to the company by you. “Personal information”, as referred to in this document, has the same meaning as defined in the Privacy Act 1988. Personal information generally includes any information that can be used to personally identify you. FIX-A-TAP collects personal and sensitive information during the course of its dealings with you. Fix-A-Tap only collects such personal information if it is relevant for the supply of services or products or for the usual functions or activities of Fix-A-Tap or to comply with the Corporations Act 2001. We may store website data and emails queued on our servers, only for use as back-up data, if required. We may customize our email newsletters and communications to reflect your interests in a particular service. We access historic correspondence and details in response to customer service issues and to comply with any state or federal law. We monitor and store your online requests from webpages and services, for research and to keep a history of your transactions with Fix-A-Tap. The APP requires us to collect personal information about you, only from you, if it is reasonable and practical to do so. We also collect information when you have contacted FIX-A-TAP via email, telephone, and social media and via personal contact and trade show events. This Credit Reporting Policy sets out how FIX-A-TAP will manage your Credit Information (your repayment and default history, amount and type of credit provided, and any default information) and your Credit Eligibility Information (Information provided by other Credit Providers and Credit Reporting Bodies). Our handling of your Credit Information complies with our obligations under the Privacy Act 1988 (“the Act”) and the Credit Reporting Privacy Code (“CR Code”). FIX-A-TAP may collect, use, hold and disclose Credit Information about you. You consent to such collection, holding, use and disclosure of your Credit Information in accordance with the terms of this policy. Publicly available information in relation to your creditworthiness. Sometimes, we may gather Credit Information and Credit Eligibility Information about you from a third party, for example, from Credit Reporting Bodies (“CRB’s”) (for example, Veda and Dun & Bradstreet) or intermediaries and spouses or from publicly available information. The Credit Information that you provide assists us in making business decisions about our intended business relationship and the terms of that relationship. We may not be able to transact business with you if you do not provide all of the information requested and we may not be able to process any Application for Commercial Trading Account. To advise you of services and products from time to time. We will also collect, hold, use and disclose Credit Information and Credit Eligibility Information about you to comply with Australian legislation, including the Corporations Act 2001, Proceeds of Crime Act 1987 and Anti-Money Laundering and Counter Terrorism Financing Act 2006 and any amendments to these Acts. FIX-A-TAP may disclose Credit Information and Credit Eligibility Information to overseas recipients such as our related or associated companies, or to third parties. This may also occur if our service providers are located overseas. We will take reasonable steps to protect your privacy if this disclosure occurs. We will take all reasonable steps to ensure that all Credit Information and Credit Eligibility Information that we collect, use or disclosed, is stored both physically and electronically in a secure environment accessed only by authorised persons. We will take reasonable steps to protect any such information that we hold from misuse, loss, unauthorised access, modification or disclosure and to destroy or permanently de-identify personal information if it is no longer needed for any purposes. We maintain sophisticated IT systems to keep such information and data on master files. We have security measures including restricted access, firewalls and encryption. While FIX-A-TAP employs antivirus software and encryption technology when interfacing with its customers, suppliers, contractors and other parties, you should be aware that there is a residual risk in transmitting any data electronically. This risk is inherent in any internet dealings. FIX-A-TAP will take all reasonable and necessary steps to ensure all information collected, used or disclosed is accurate, complete and up to date. You have a right to seek access to your Credit Information and Credit Eligibility Information and to make correction to that information. Your request must be reasonable and practicable. Please contact our Privacy Officer by emailing privacyofficer@fixatap.com.au should your details change or if you believe the information we have about you is not accurate or complete or to make an access or correction request. We will endeavour to respond to your request within a reasonable time. If you are not satisfied with our response to your access or correction request, please see our Complaints Section below, for information on making a complaint. You will be required to put your complaint in writing and we will use our best endeavours to provide a response in writing within a timely manner and to correct any personal information and notify any other entity required with updated information. FIX-A-TAP has detailed procedures for dealing with privacy. If you are dissatisfied with the outcome of your complaint or should we refuse to provide access to or correction of your information, you may complain to the Office of the Australian Information Commissioner at www.oaic.gov.au. We may, at our discretion, change our approach to the handling of Credit Information and will, in such instances, update the Credit Reporting Policy to reflect these changes. The most up-to-date copy of the Credit Reporting Policy will be available at www.fixatap.com.au and any such updated version shall apply from the date the updated version is published on our website. So that we can provide a wide range of products and services to you, third party service providers offering services are engaged through Fix-A-Tap. If you have requested the product or service, Fix-A-Tap will provide the service provider with the relevant information that is necessary for them to perform/fulfill the function requested. The third parties with whom we conduct business are only authorized to use your information to perform the service for which they were hired or contracted. As part of our agreement with them, they are required to follow the privacy laws and privacy guidelines that we provide and to take reasonable measures to ensure your personal information is secure. Links to third party websites are provided solely as a convenience to you. If you use these links, you will leave the Fix-A-Tap site. Fix-A-Tap is not responsible for any of these sites, their content or their usage of your personal information. If you send us personal information that we have not requested, or we determine that the personal information you have provided to us is not reasonably necessary or directly related to our functions or activities, we may de-identify or delete this information without notifying you, to protect your privacy. Personal and sensitive information collected is not disclosed to any other person except with your consent or at your direction, or where required by law, to any person authorized by such law (this may include the police service, or government departments or regulators within Australia in connection with law enforcement activities). The need to disclose personal information to others is generally restricted to employees, contractors or service providers, to the extent reasonably necessary to fulfil our obligations to you. We may send you direct marketing communications and information about products and services offered by us via email, SMS, or regular mail. If you have indicated a preference for a method of communication, we will endeavor to use that method wherever practical to do so. You may opt out of receiving marketing communications at any time by responding via the channel in which you received the marketing communication, updating your profile online or by contacting Fix-A-Tap directly. We may analyze your information collected through our membership programs and engage third party service providers, based in Australia or other countries/regions such as USA, UK, Europe, China, Malaysia and Thailand, to assist Fix-A-Tap with services including data storage, data analysis, and marketing research. If you would like more information or to opt out of this please contact Fix-A-Tap directly. We do not provide your personal information to any other organizations for the purposes of direct marketing. FIX-A-TAP respects your rights to deal with the company without identifying yourself and understands that you have no obligations to provide any information requested by us. Personal and sensitive information provided by you or others may be stored in both a hard copy format and a soft copy format. Hard copy files are kept in a secure storage area at the business premises. These hard copy files can only be accessed by authorized staff. Fix-A-Tap has a policy to destroy or de-identify personal information that it has collected that it no longer needed. Personal information may be accessed in connection with the management and maintenance of the Fix-A-Tap IT systems by Fix-A-Tap IT system managers, who are based in Australia. You have a right to access all the personal and sensitive information that Fix-A-Tap collects and holds about you. This general right of access may be restricted by the exceptions outlined in the APP and in this document. Fix-A-Tap should be contacted if you wish to access your information. Fix-A-Tap will have to verify your identity before meeting your request. Subject to the exceptions referred to above, access will generally be granted within 14 days of a written request being received by Fix-A-Tap. This information will be provided free of cost. Fix-A-Tap’s contact details are set out at the end of this document. You may also access your plumbing business registration information by editing your online membership profile and business listing. If you become aware of any errors or omissions in respect of your personal or sensitive information once access has been granted, you should contact Fix-A-Tap so that it can be corrected. If you feel your privacy has been breached, please contact us using the contact details at the end of this document setting out the circumstances and reasons for your complaint. If you are not satisfied with Fix-A-Tap’s response, you may contact the Office of the Australian Information Commissioner at www.oaic.gov.au or on 1300 363 992. For information about privacy law, privacy principles, or if your concerns are not resolved to your satisfaction, you may contact the Office of the Australian Information Commissioner at www.oaic.gov.au or call on 1300 363 992. This policy was last updated 27 May 2014.